The team at Dry-Treat and Fiberlock would like to thank you for your support and business in 2015 and wish you a very joyous and great 2016! 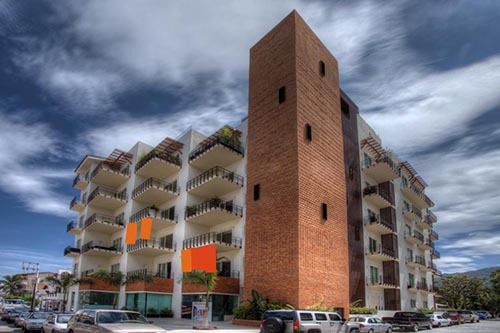 This beautiful condominium in Mexico has had a major Dry-Treat treatment. The 7-storey tower has been treated with STAIN-PROOF™ Original to protect it from harsh coast condition and minimize maintenance costs. World of Concrete is approaching fast! World of Concrete is happening in just a little over a month away! Come visit us at booth N1968. We currently have passes to grant a $30 admission to World of Concrete if you book online. If you are planning to attend and would like one of these passes, please send a message to marketing@drytreat.com.